In September 2013, the People to People International Documentary Conference, commonly known as P2P, will take place Johannesburg. This is the fourth edition of the bi-annual event which brings doc filmmakers and industry stakeholders from across the continent together with their international counterparts. This year it is set to be bigger and better than ever. P2P has in a relatively short time earned a solid reputation for lively debate, community building and all round good fun. 2013 promises a dynamic three day programme dedicated to the art, business and technology of documentary from an African perspective, with a not to be missed line-up of master-classes, screenings and conversation sessions, panel discussions, and networking and social events. In addition P2P is hosting the Good Pitch² JHB for the second time (see details below) and organisers have a couple more innovations in store this year. 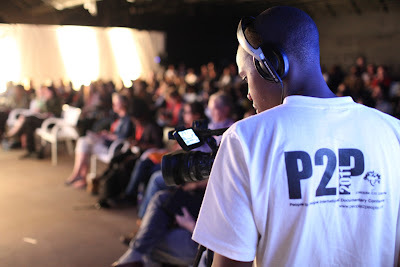 P2P Online, which offers past conference sessions, resources for documentary filmmaking and more, is regularly updated. Visit www.people2people.co.za for more details. 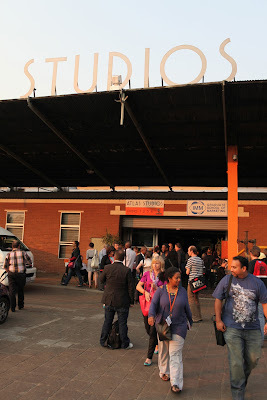 African filmmakers and related professionals wanting to travel to Johannesburg for P2P 2013 are encouraged to apply for an Art Moves Africa grant by 1 May 2013 at www.artmovesafrica.org for details. Inaugurated in 2007 and jointly initiated by The Tri Continental Film Festival, The Encounters Documentary Film Festival and SACOD, P2P runs in conjunction with The Tri Continental Human Rights Film Festival in Johannesburg. Contact Arya Lalloo- arya@people2people.co.za or Katarina Hedren katarina@people2people.co.za for more information.